“How much actual wtf-ery can you design into one bottle of fragrance?” thought the bods at Balenciaga one day over a plate of ham and pickle sandwiches. Wait, wrong country… chorizo an patatas bravas (not in a sandwich obvs). That boardroom statement is the only logical explanation I can come up with for the awesomeness that is the packaging for the new Balenciaga fragrance which is patiently awaiting its nationwide release next week. It’s like the Mad Hatter joined forces with Captain Beefheart, dropping an acid-infused sugar cube in a secret garden before letting rip on the design front. I love it. I love how it looks so spiky and unfriendly (not unlike the celebrity fronting the campaign then) and the ensemble left me properly breathless in anticipation and hope that the juice inside would live up to the initial impression. And it is indeed, somewhat spiky at first sniff. 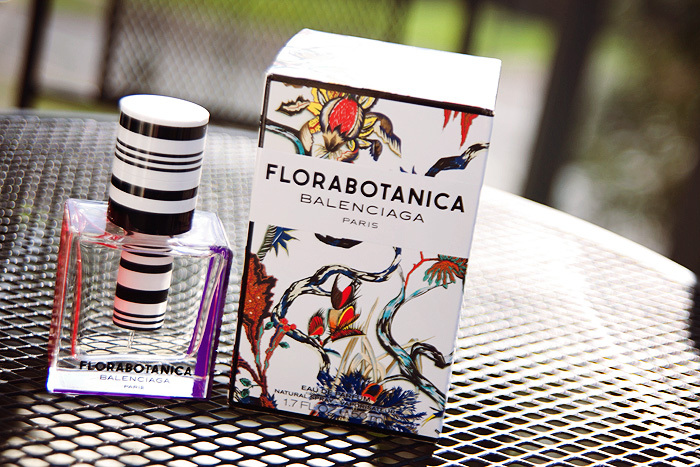 There’s a sharpness that cuts through the ether and prickles at your nose (not the classic piquante tickle) before mellowing as the “experimental” (no less) rose takes form and softens the edges, bringing to the forefront the flora that the name Florabotanica promises t0 deliver. The notes declare: mint, carnation, hybrid rose, caladium leaves, amber and vetiver – I don’t detect much straight-up mint, nor amber but they play their roles in helping to chameleonize some of the more traditional florals into something that definitely feels far too modern to simply describe as floral. Perhaps one of my favourite aspects of Florabotanica is simply in its resilience. Here is a mainstream fragrance, aimed at a younger market that smells different. It’s void of pinkness and it wears on my skin like a captivating veil with just the perfect amount of sillage to draw attention without commanding it. It’s perhaps a little Summery for an Autumn release but there’s probably just enough mossiness and strength to ground the fragrance in a cooler climate. 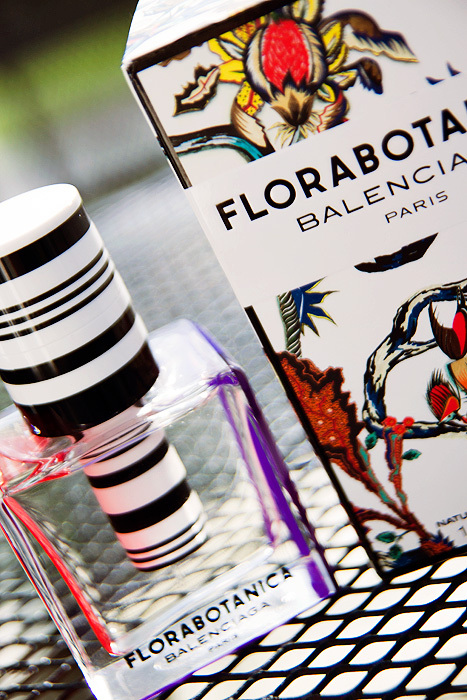 Balenciaga Florabotanica (from £40 for 30ml EdP) is available exclusively at Harvey Nichols until the 19th September. A nationwide launch follows this date. I had to smile at this – it looks so spiky and unfriendly (not unlike the celebrity fronting the campaign then). So very true!